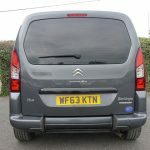 This compact Berlingo comes in metallic grey with rear privacy windows which we believe enhances its looks! 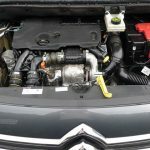 A great runner with plenty of power in its 1.6 cc diesel engine. 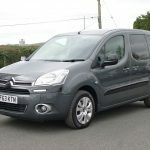 A wheelchair accessible vehicle that ticks all the boxes and one of our best sellers. 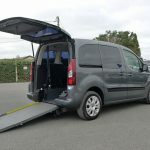 Converted by GM Coachworks, this vehicle has been adapted with a lowered floor and a 2 piece, non-slip ramp at the back making it easy to get a wheelchair user in and out. 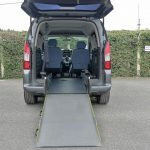 As the length of the ramp is longer than a 1 piece, this creates a lower gradient and useful if you struggle to push a wheelchair up any inclines. 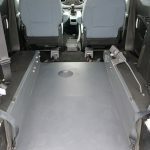 Once inside the vehicle the wheelchair us secured tightly to the floor utilising the four point wheelchair restraints and you can see a demonstration of this contained in the ‘Advice’ section above earmarked ‘how easy is it to use a WAV’. 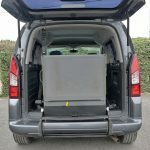 As with most of our Berlingos, the rear seat can be folded forwards and out of the way should more space be required by the wheelchair user. 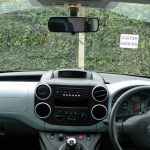 There are some handy back of seat pockets and an overhead shelf which are always useful to store any valuables out of sight and for keeping the car nice and tidy when out and about. 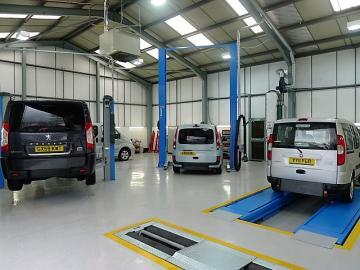 Great all round visibility and an easy vehicle to manoeuvre. Very popular with wheelchair users. If you are new to this type of vehicle and would like more information, again click on the ‘Advice’ section and take a peak in the various sections where you will find a wealth of useful guidance and advice. 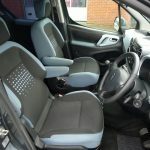 We want you to find the right wheelchair accessible vehicle to suit your particular needs so please give us a call and we can help you on your journey. 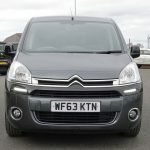 We deliver free to UK Mainland addresses.